Renova Laser & Medspa is the premier laser hair removal center in Houston. We are a patient focused practice that works to ensure our guests experience the best aesthetic treatments. Our staff is trained and certified on industry leading laser technology to ensure your treatments are effective and permanent. We offer Renova’s lifetime warranty to safeguard your investment. We have several locations to visit and our office staff are always happy to help. To get started with your laser hair removal in Houston, contact us for your Free Consultation. Our laser hair removal specialists are here to assist! As a Houston based leader in the laser hair removal industry, we can safe and effectively perform laser hair removal for men and women on all body parts. All skin tones can safely be treated with our most advanced laser equipment. 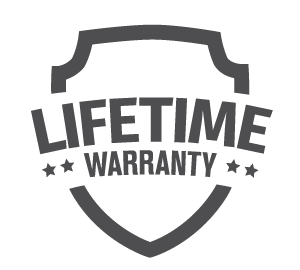 We also include Renova Laser’s lifetime warranty to safeguard your investment. Schedule a complementary consultation today to learn more. Laser hair removal is a process by which hair follicles are treated using laser light, resulting in permanent hair removal. The laser hair removal procedure can be performed on any area of the body with unwanted hair. Laser hair removal is safe and effective FDA approved procedure that provides long-lasting results. At Renova Laser Hair Removal & MedSpa, we can safely treat all skin color and types. Our laser equipment are most advanced and versatile in the industry. Although several factors including an individual’s genetics, hair color, hormone levels, and skin related factors determine the number of treatments needed to achieve a best laser hair removal results, usually 4-6 sessions are needed to get rid of unwanted hair on a permanent basis. To ensure the highest quality of care, all of the packages provided by Renova Laser Hair Removal & MedSpa include 6 full treatment sessions and Renova Laser’s Lifetime Guarantee. Schedule a free consultation session today to learn more. At Renova Laser Hair Removal & MedSpa, we utilize the most advanced and prolific lasers available in the industry to treat our clients. Depending on the hair and skin type we may choose to use either Alexandrite or Nd:YAG platforms; both of which are considered the very best in the industry and manufactured by the industry leader Candela Corp.
We are happy to schedule you for a FREE consultation and/or treatments the same day for your convenience. Please call us at 832-831-7003 or email us at contact@renovalaser.com today.